I'm super excited today to share with you our new contributors for the Art Bead Scene. These talented beadmakers and jewelry designers are ready to bring their talents to keep you inspired during your jewelry-making adventures. So, give a big Art Bead Scene welcome to these creative souls! Terri DelSignore of Artisticaos is a ceramic beadmaker from Canada who creates graphic and whimsical art beads. We are looking forward to seeing more of Terri's work this year and enjoying her tutorials and creative inspirations. Find Terri on her website and on Facebook. 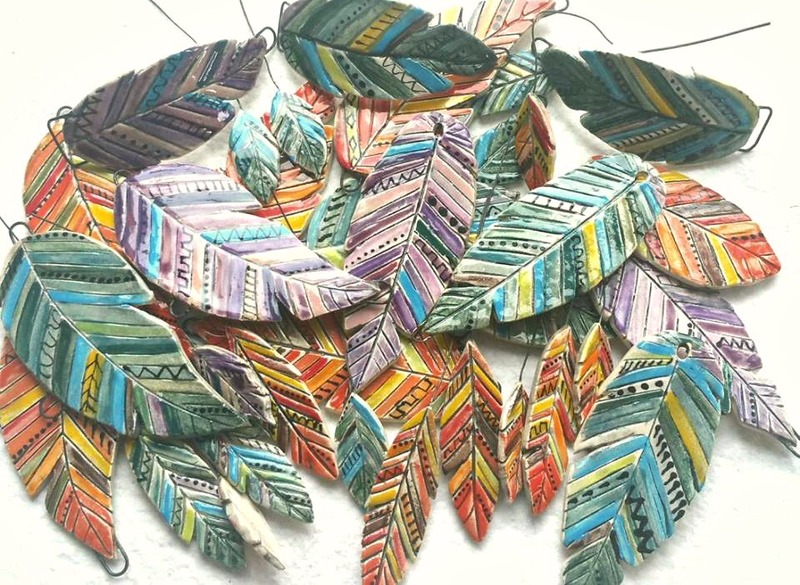 Terri's feathers were featured in this earring project last week and she shared a great tutorial on creating hollow beads. 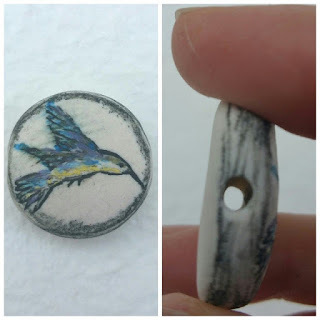 Terri offered a bead giveaway on her hollow bead blog post last week. The random winner chosen from the comments is Kathy of PajegoArtHouse. Congrats Kathy! Kathy please email so we can get your prize out to you! 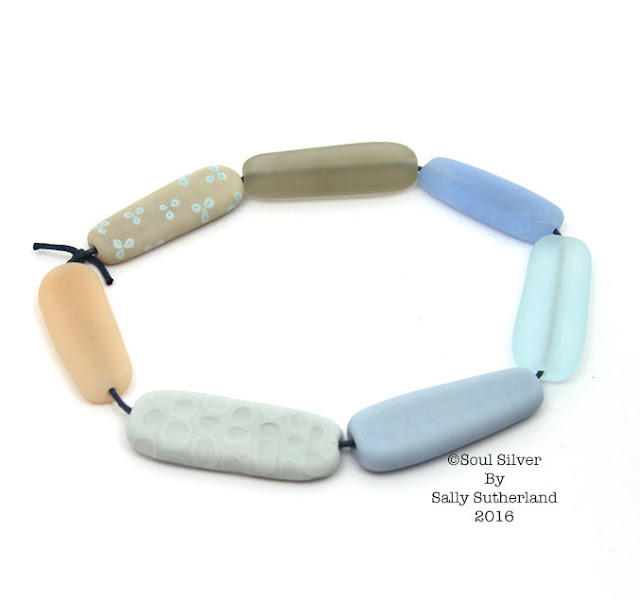 Lampwork artist Sally Sutherland creates her lovely art beads from her studio in Scotland. Inspired by her surroundings, her sense of humor and her children. Sally's work varies from modern with a sophisticated color sense to playful fairies and characters in glass. 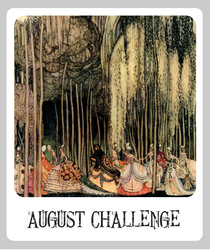 Visit Sally's website to see her work and read about her process. You'll find her beads in her Etsy shop, Soul Silver. With a background in graphic artists Ashley's beads cover several mediums that explore her love of design. 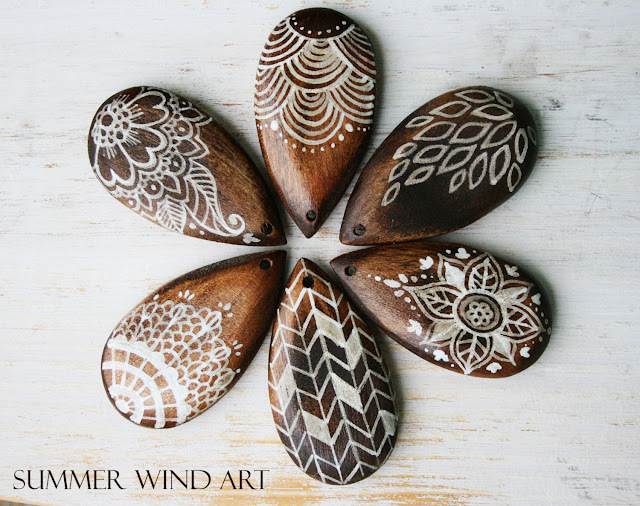 You'll find Ashley delves into beautiful hand-painted wooden beads, wood-burned beads in nature inspired themes and polymer clay work soaked in delicious color. Visit Ashley's Summer Wind Art shop on Etsy and a you can find her on Facebook. Jewelry designer Loralee Kolton works like a master on miniature canvases formed into earrings. She is a connoisseur of art beads and has a way of making them dance in a saucy tango. 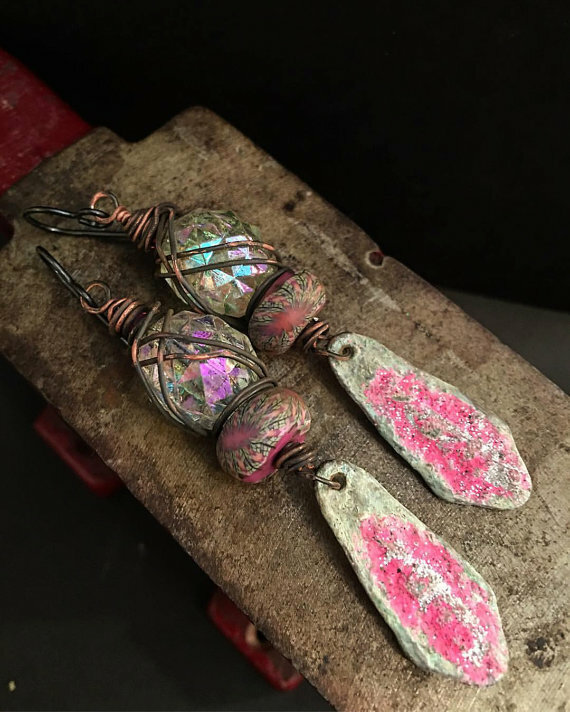 I've dubbed Loralee the Earring Whisperer and she will be sharing super fun earring projects with us each month. Lorelee's latest designs can be found in her Etsy shop but they seem to be swiped up on Facebook almost as soon as she shares them! Oooh, what an exciting new line up of designers for 2017! Can't wait to see what they share with everyone. I just purchased some of Sally's beads today!! Yay! So looking forward to 2017!! gorgeous beads from new members! so different and so lovely! and YES Loralee IS the earring whisperer! What a great group. I look forward to reading all the posts. Thank you all for taking the time to share.